Since 2001, locally owned and operated Baltimore Ghost Tours has regaled thousands of locals and visitors alike with spellbinding tales of Baltimore Maryland’s haunted history on our walking tours and haunted pub crawl! Please check our calendar to see all the tours that we have running tonight. Please note that the Wicked History Tours are not haunted tours. Picture Fell’s Point, in Baltimore, Maryland, as it was- a rowdy seaport town. It was the birthplace of the sleek and dangerous clipper ship. Its streets were full of sailors from foreign lands spilling off ships and immigrants anxious to start a new life. There were also more than a few ladies of the night looking to make ends meet. Given this explosive combination, is it any wonder that many ghosts remained behind? Join Baltimore Ghost Tours on a walking tour or haunted pub crawl to explore many haunted sites in Fells Point. But don’t stray too far from the group because you never know when you’ll find yourself face to face with the unknown. Looking for a fun and memorable corporate event, an after hours event for a convention group, a birthday party idea, or a bachelor or bachelorette party idea,? Our Ghost Tours, Ghost Talks, and Fells Point Haunted Pub Crawl Tours are a great way to spend an evening in some of the most interesting neighborhoods in Baltimore. 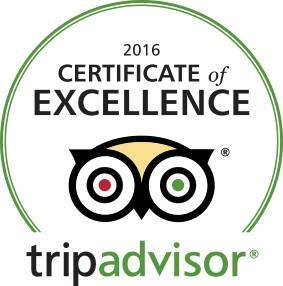 We have 13 tour guides, and 16 years of experience handling large group tour events! Please see our group tours page for more information. 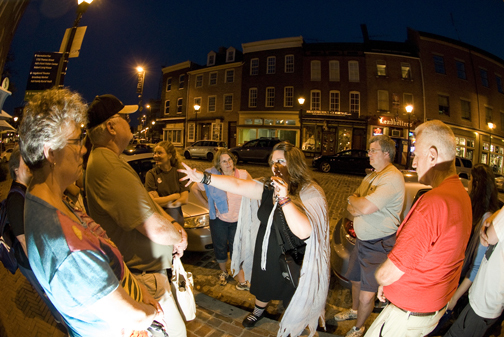 The Original Fells Point GhostWalk is a Certified Authentic Baltimore Tour. We are members of the Baltimore Convention and Visitors Bureau and Fells Point Main Street. When owners Amy Lynwander and Melissa Rowell set out to research ghost stories of Fell’s Point, they started knocking on doors, talking to residents and bar owners, and combing through documents at libraries. Their findings were revealed during the Fell’s Point Ghost Walk Tour in October 2001. A couple of years later The Original Fells Point Haunted Pub Walk debuted. In July, 2005, they published their first book of Baltimore ghost stories, Baltimore’s Harbor Haunts: True Ghost Stories. While researching their book, the duo uncovered stories from Baltimore’s Mount Vernon neighborhood and began the process all over again to createa new haunted walking tour, the Mount Vernon Ghost Walk Tour, which debuted in September, 2007. In 2016 The Mt Vernon Haunted Pub Crawl made its debut. In September of 2014 they launched a sister tour company, Baltimore Wicked History Tours, which explores the dark history of Fells Point and Baltimore’s Mt Vernon. The Fells Point Wicked History Pub Tour, The Wicked Brews Pub Tour, and the Mt Vernon Wicked History Pub Tour are all under the Baltimore Wicked History Tours banner. This is a history lesson like no other!